EBC Redstuff brake pads are designed for high performance models that are driven aggressively on the street. Featuring a low dusting compound, that offers stopping power even when your brake discs are cold. This material is a Kevlar fiber based brake compound enhanced with ceramic particles. 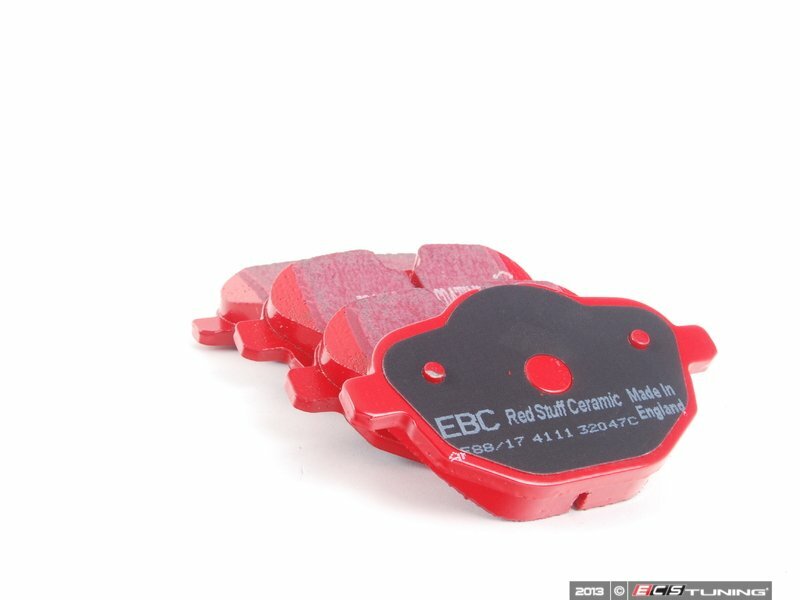 If you have previously tried EBC Redstuff (pre-ceramic compound) this material is light years ahead. It lasts longer, it brakes better and is quieter. 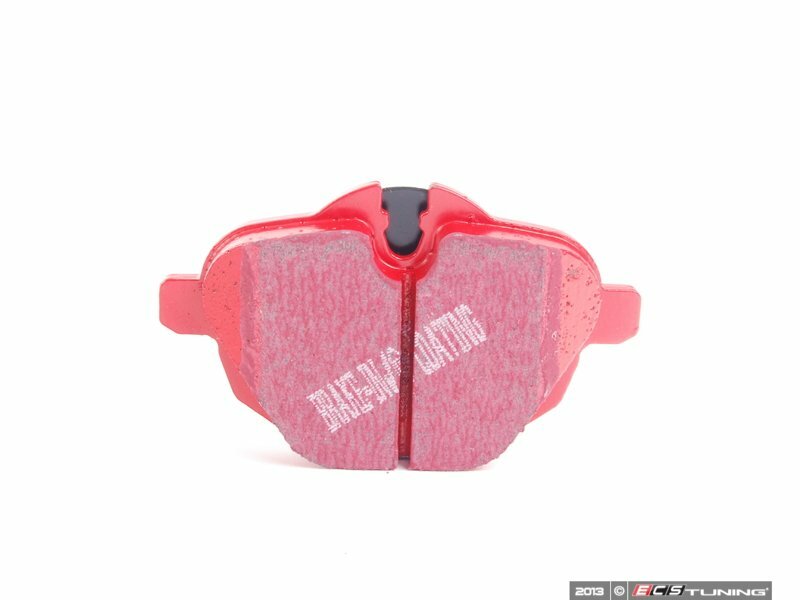 Being a hard wearing pad, bed-in times can be as long as 1000 miles and drivers must be patient until the pad takes up the shape of their disc (brake rotor). 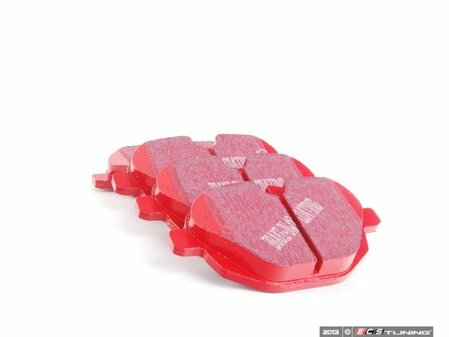 This is a truly impressive fast road pad for repeated heavy braking. Following is a listing from EBC for pad recommendations.